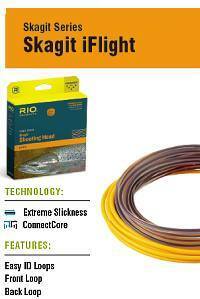 POWERFUL, EASY CASTING HEADS designed to cast sink tips and large flies.  Powerful front end to easily cast large flies and fast sinking tips. 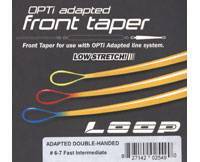  Unique design with subtle tapers that throw long casts and generate tight loops. Xact double-hand is a traditional one-piece, weight forward line designed for two hand casting. The taper gives the same effect as a shooting head and fits the Scandinavian style of casting. Our first recommendation to an all-round two hand line is Xactly this one! On large open rivers there is normally plenty of room for Spey casting and the size of the D loop is not a limiting factor. Spey casting your way down a tree-lined or steep sided river however adds another dimension. Using a line with too short or too long a head and finding the optimum rod load point is left pretty much to guesswork. The Snowbee development team has tackled this situation head-on and produced a range of lines that are perfectly balanced for spey casting in just about any river environment. 1D, 2D and 3D  Spey Lines are each colour-coded, providing you with a choice of specific head lengths and corresponding weights to suit your preferred Spey Rod and casting requirements.